Seo In-guk and Lee Ha-na in "High School King"
Singer and actor Seo In-guk and actress Lee Ha-na are starring in the new drama "High School King". New tvN miniseries "High School King" is romantic comedy about a high school student becoming a part of management in a major company. Seo In-guk takes on the role of Lee Min-seok, a popular boy at school who starts going to work as director of headquarters on behalf of his brother. Lee Ha-na takes on the role of Jeong Soo-jeong, a non-regular assistant in his company. Netizens say, "This is going to be fun", "I can't wait", "How are they going to be together?" and more. Meanwhile, "High School King" is organized for June after "A Witch's Love". 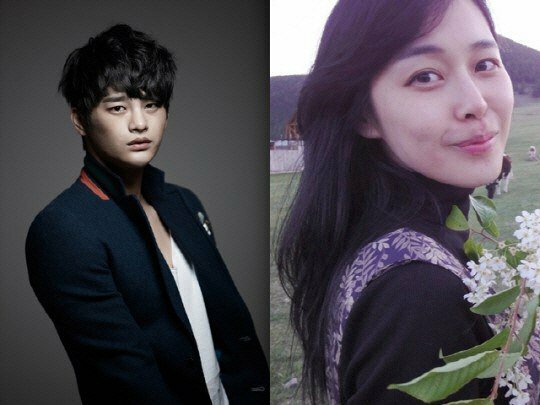 "Seo In-guk and Lee Ha-na in "High School King""
Nam Sang-mi not to star in "The Joseon Shooter"